Training in Scenic Acres, Ranchlands, and Varsity. Register Now for Karate or ladies' Kickboxing. 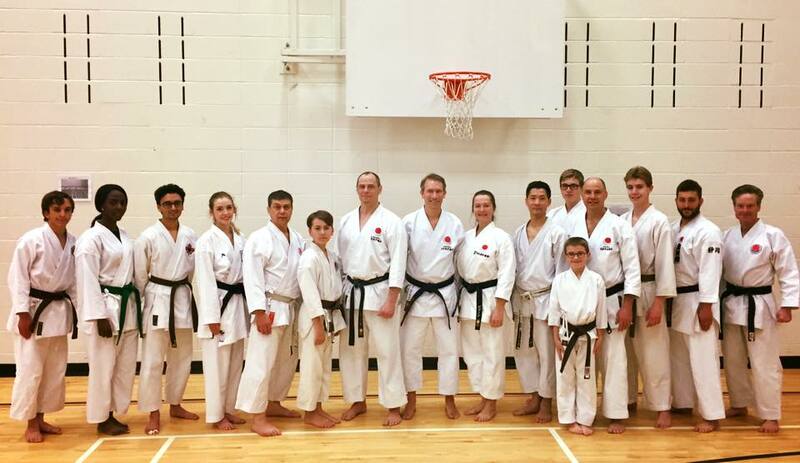 Calgary J.K.A.Karate is affiliated with Japan Karate Association (JKA), Alberta JKA Karate Association, and Karate Alberta Association. Karate can be described as a martial art involving a variety of techniques including blocks, strikes, evasions, throws, and joint manipulations. Karate practice is divided into three aspects: kihon (basics), kata (forms), and kumite (sparring). Airdrie JKA Karate offers quality instruction for people of all ages with training specifically geared to each individual potential. Our aim is to provide our students with a combination of high quality instruction and a friendly atmosphere that any member of the family can enjoy. True karate-do is the trademark of the Airdrie/Calgary KA Karate. We look forward to helping you develop, both mentally and physically, through training in traditional Shotokan Karate.